Cotuit is a quaint village located on the warm waters of Nantucket Sound. 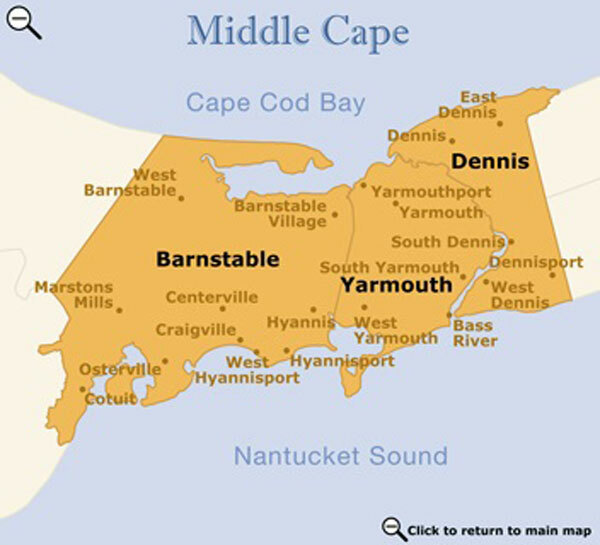 It is tucked between Falmouth and Hyannis and a short distance to historic Sandwich. Established in 1648, Cotuit is one of seven villages in the town of Barnstable. Off the beaten path, Cotuit offers a combination of a quiet residential area and tourist-oriented attractions. Several crafts fairs are held in the local park as well as the annual Cahoon Museum “Brush Off,” an auction of paintings by local artisans. There are numerous opportunities for water sports. Historic Cotuit Bay is filled with pleasure boats secured to deep moorings. Loop Beach is a small swimming beach with a lifeguard and roped area for children. 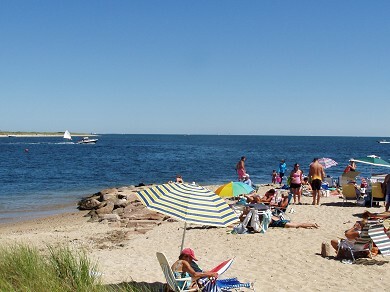 Many rental homeowners provide their tenants with a beach/parking pass that allows access to all 14 beaches and boat ramps in the town of Barnstable, including residential beaches such as Dowses and Loop and public beaches such as Craigville and Sandy Neck. The Cotuit Kettleers, one of the Cape Cod Baseball League's teams, play their home games at Lowell Field, providing many entertaining evenings for locals residents and vacationers alike. The Kettleers offer baseball clinics for youngsters during the summer months. Sailing lessons are offered in the summer by the Cotuit Mosquito Yacht Club. For golfers, the Cotuit Highground Country Club is a par three, nine-hole golf course. And for shoppers Mashpee Commons is only 3 miles away. This upscale outdoor village offers more than 90 delightful shops and restaurants, as well as outdoor concerts and summer entertainment.